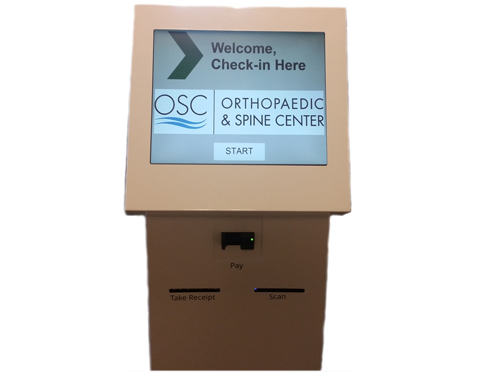 Patients with follow-up appointments can check-in using our kiosk. 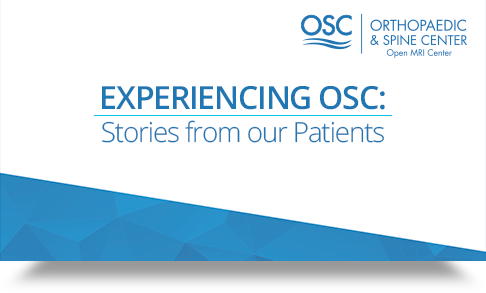 Real stories written by our patients about their treatment success, provided by the doctors, therapists, and staff at OSC. 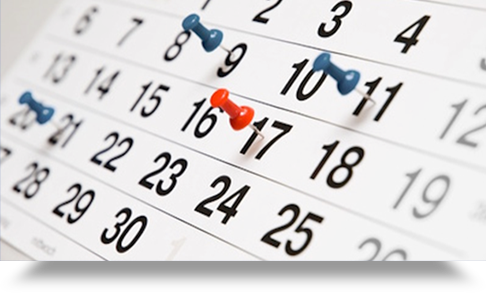 OSC offers monthly free informational lectures at our facility. Click on the spot where you are experiencing pain to learn how we can help. One of the most common injuries, a sprained ankle, ranges from the very mild to the very serious. Don't take chances, if swelling does not improve within a few days be sure to contact OSC to schedule an appointment. Each foot is very complex with 26 bones, 33 joints, and over 100 muscles, and with every step we take, we place our entire body weight on our feet, making our feet very prone to injuries. We can diagnose your problems today. The knee is the Largest joint in the body, as well as one of the most often injured parts of the body. The complexity of the join should not go self-diagnosed. 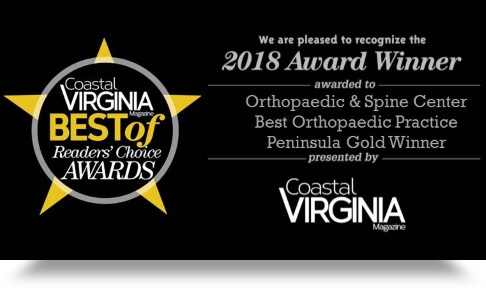 Get professional advice from one of our orthopedists today. Complex in design and function, the hand is an amazing work of anatomic engineering. The goal with injuries to the hand is a rapid and accurate initial evaluation and treatment. Without your hip, many of our daily movements would not be possible. Your hip is prone to many injuries, like dislocation, osteoarthritis, or even fractures, and for people of all ages. Many non-invasive procedures are available. An estimated 80% of Americans are affected by lower back pain. The Back is susceptible because of its flexibility and the amount of body weight it regularly bears. Often, the lumbar is often the site of back pain. Everyone has had an elbow injury at one point or another. Elbow injuries can be minor or serious and may include symptoms such as pain, swelling, numbness, tingling, weakness, or decreased range of motion. Shoulder injuries, arthritis and inflammation in and around joints are common problems in adults, often causing severe pain, discomfort and immobility. Set an appointment at OSC before it gets worse. Neck pain is very common. Pain may also come from your shoulder, jaw, head, or upper arms. Treatment depends on the cause, but may include applying ice, taking pain relievers, getting physical therapy or wearing a cervical collar. You should rarely need surgery. Most leg pain results from wear and tear, overuse, or injuries in joints or bones or in muscles, ligaments, tendons or other soft tissues. Some types of leg pain can be traced to problems in your lower spine. Leg pain can also be caused by blood clots, varicose veins, poor flexibility, or poor circulation. Pain in the legs can occur as a result of conditions that affect bones, joints, muscles, tendons, ligaments, blood vessels, nerves, or skin. Typically, the pain is a result of tissue inflammation that is caused by injury or disease. Since the leg contains a number of different structures and tissue types, a wide variety of conditions and injuries can cause leg pain. Groin injuries are common among athletes, especially soccer players. One common type of injury is a "pulled groin muscle," which doctors would call an adductor strain. The pain may grow gradually, and you may not be able to point to the moment when the trouble started. Eventually, the muscle becomes very painful when it moves or is pressed against. Although upper back pain is not a very common spinal disorder, it can cause significant discomfort and pain when it does occur. The most common causes of upper back pain are muscular irritation and joint dysfunction. There can be an injury to a disc in the upper back that causes upper back pain, but such injuries are very rare. Arms are probably one of the most actively used body parts in human anatomy. Even slight arm discomfort, specifically upper arm pain, can turn our daily chores into complete torture. Most people think of arm pain as a normal consequence of a hard day's work. While in some cases that may be true, more often than not arm pain progresses into a more serious diagnosis when neglected. 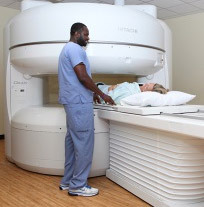 Having an MRI doesn’t have to be an inconvenient or frightening experience. Our Open MRI is spacious and comfortable, easily accommodating larger patients and those who suffer with claustrophobia. 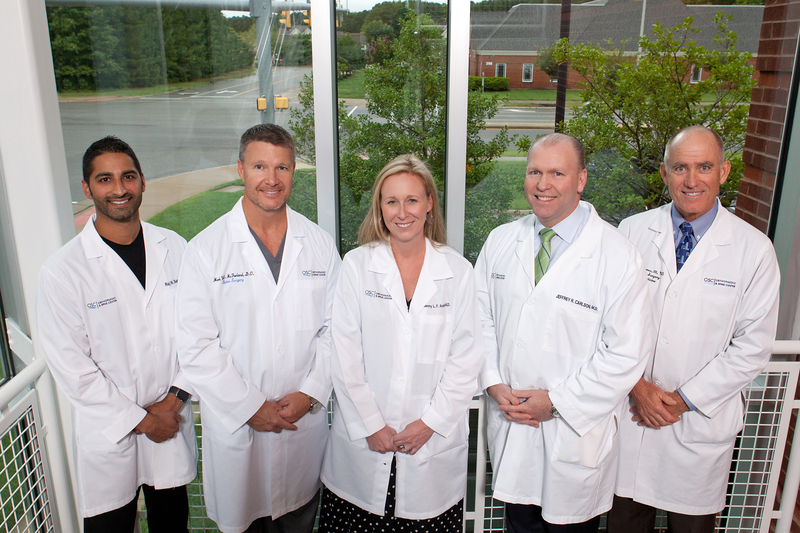 The OSC MRI team is skilled, caring and will ensure you are as comfortable as possible during your MRI.